Dream big. Go for your goals, make a dent in the universe. If your ambitions aren’t as big Steve Jobs' or Elon Musk's, then you didn’t dream big enough. I’ve read this and I’ve heard this, and I’ve thought this too. It’s okay to dream a little dream. Because even little dreams reach far. When I was younger, I found myself living in Prague, mostly out of a backpack, seeing the world. When you are young and living out of a backpack in Europe, chances are pretty good you will find other wanderers who also left a life less ordinary. We tend to find each other, often on the same path, often at crossroads. A small group of us gathered every week at a cafe near Vinohrady. There were no internet groups, no gps coordinates, no apps to find each other. It was a shared spirit that brought together the dreams of linguists, travelers, poets, painters and prophets permeating the room. Chitter chatter flew across glasses of wine and over tables, echoing like notes that became a song, a song celebrating the immortality of youth. The next great novel, the next great painting, the next great plan became one great melody of dreams. But big dreams require big resources, and not all of us have them. An engineer in Eastern Europe with a plan to build a new traffic system, a painter from a small town in the midwest with the dream of being in MOMA, or an Oscar aspiring filmmaker from a farming town, not only share in dreaming big, they also share in the reality of circumstance. All those dreams may be stunted by a time and place that is not quite given to them. But just playing the cards we are dealt just seems an excuse to remain mundane. And it's nowhere near as luminous an outlook. The discomfort of a dreaming nomad is easily disuaded by the lighthouse in the distance, summoning us to walk across the bog and sharp shells cutting our bare feet. If we only play the cards we are dealt, we may never antee up. It’s the dream that pulls us forward like an unquenchable magnet; and somehow, all this temporary physical matter is nowhere near as real. And who wants to live in a world uncomposed of dreams? If we look around us, we see that we don’t. ​We live in the melody of dreams. While some sing only the note, others may carry a tune. My French friend, Julien, was carrying the tune in that smoky Prague cafe. Each time we all met over a glass of wine, Julien would repeat incessantly how he wanted to start his own restaurant, how he wanted to be a chef. His voice was one among many, as we all were carrying a verse. Julien's particular passion was cooking and serving others. He, like all of us, had only recently arrived, and none of us had the kinds of resources to just go out and pay for a building, hire a staff, and acquire clientele. Starting a restaurant in Prague, living on teaching salaries, and having no experience is just too big of a task for such a kid. Better to just sing the tune, talk about all the great things we would some day do, have another glass of wine, and keep the dream where it can never be destroyed or fail - inside our own minds. ​Big dreams take big resources and big dreams can have dangerous consequences. It was a small room, square as a flight case, and not much bigger. There was one table in the center, and one lonely window. I could probably have stored my entire book collection in that room, and nothing more. And that’s not a big library, considering I’d only been in Prague for a couple of years. See, a few years had now passed since we first arrived, and the fellowship had split apart. I hadn’t seen Julien for awhile, but I kept hearing about a little room near Vinohrady that was the best little dining spot in town. Julien had told us his dream was to serve others his own food in his own restaurant. And without any other resources than that, he did exactly just that. And he named it "Just One Room" (U Jednoho Pokoje). Julien rented a little square room only one mile from the cafe and started telling his friends he was opening a restaurant. There was only room for two people to dine at a time. And there was barely any room for him to prepare the food. He had no waitstaff, no kitchen, no brick oven to throw the pizzas, no dishwasher, no sign on the door, no advertisement, and not even a name on the doorbell. What Julien did was invite his friends over to the room he rented, sat them at a table, and cooked them food. They ate magnificent food, cooked by a French chef, paid him for the experience, and then made room for the next guests. Julien had, indeed, started a restaurant. Naturally, word spread amongst the friends, and we all cheered it forward in our own way, booking times to take our dates to this little room in Prague, where an enthusiastic chef cooked us dinner. The idea caught on, and he continued to make that dream come true. No matter the scale, no matter the resources, he did what he was here to do. I never completely lost touch with Julien, but we each continued to carry the tune that started from a few notes in that cafe. It was that same cafe where I was drawing in my sketchbook, and someone was looking over my shoulder at my work. That chance meeting led me to work on my first movie, a quite big one, and changed my life forever. It was the little dream of traveling Europe and doing the things I loved that led me to that same spot where the song seemed to begin. But that’s another story. So maybe you hear the melody of dreams, maybe you even sang a note. But in order to carry the tune, you will dismiss the dirt and difficulty it takes to turn it into a song. The vision is just too clear. The job that doesn’t count, or the traffic that takes up your day can never be brighter than that lighthouse summoning you across difficult waters. When I think about my own big dreams and how they don’t quite seem to become real, I think back to Just A Room, and how a restaurant can be just a table, some food, and a group of friends. You don’t need to have big dreams. You can dream a little dream too. So write that song on the receipt between delivering pizzas, pull up a box and draw the blueprints when your payjob is slow. Do the little things, because the little things count. The size of your resources will never fill the scale of a dream, anyway, and thus, a pursuit of happiness alone will never sustain you. When choosing a life, choose the one with meaning, live the one with depth. Dreams cannot be measured, but depths can be fulfilled. If you like this story, you might also enjoy The Heavy Kite. I write short stories drawn from my own life, that draw from crisis or challenge, and then I seek to find a universal resolution that can help others. In 2003, I sketched out the ideas for a screenplay that I had been noodling around with for some time. I typed out the structure, and sure that it must be pure genius, I sent it off to anyone and everyone I had met in the industry to read. It was rejected and ignored, and even slightly mocked. I couldn’t understand why no one saw what I saw in the story I had written. But after some time thinking about it, I realized the issue wasn’t that no one saw what I saw in the story I had written. The problem was I had not written what I saw in the story. Someone said to me once that talent is in the recognition, not in ability. In other words, talent is the capacity for a particular skill. Talent is in recognizing a good idea, but craftsmanship is the grinding hard work that transforms the idea into something else. Craftsmanship and talent are both important, but craftsmanship is what gets the job done. Raw talent only goes so far. Work will outwork talent any day. If you can choose between the two, choose to be a hard worker over being talented. From that point of rejection, I certainly felt the sting and incomprehension of the work I had done being overlooked. But instead of giving up on the project, I just gave up on showing it to anyone, and I went back to the challenge of figuring out what was the heart of the story and how to express it better. I thought long and hard about why the story was powerful, and what was it about the story that was compelling? I realized that I had not captured those ideas that I was attracted to in the original version that had been rejected. It went through a few more iterations here and there, but no real major breakthroughs. It was only when I went to Krakow, Poland for a weekend (I was living in Prague at the time, and it was a short trip up by train), that I went for a long walk around the city center, just thinking and thinking and focusing on the theme and what made the story tick. After about four or five times circling the center of Krakow, I had a major breakthrough. It was a freeform recognition of how to express the theme. And from that came the structure of the story. But that’s just the capacity to recognize the path. The work would be in traveling it. I returned to Prague and rewrote out the spine of the story. I did the work. I sent it off again, sure that I had finally nailed it. But it was rejected and ignored a second time. Now, I was sure to not ever send it off to anyone again. Ever. Not after I wasted my time in Beautiful Krakow walking in circles. But I kept eyeing it in my mind’s eye, late at night, or when something reminded me of it. I couldn’t leave it alone, so I would return back to it and whittle away at it a little more, but still never brave enough to send it off for anyone to read again. After learning that other more influential people were also trying to make a movie about the same subject matter, I grew cynical and decided I’d give it one last effort and let the cards fall where they may. I did pitch the story and actually got some exceptionally great reactions, but it never went anywhere. The anguish of knowing that others would inevitably make the movie before me was a pain I didn’t want to go through once all my own resources had been exhausted, and after I had sweated my soul into the work. Better to not have fragile dreams. So, I went on my way and tucked the script away, never expecting to return to it, other than often sometimes using it as a basis to build my visual portfolio to get jobs as a concept artist. Finally, around 2009, I saw a movie, Waltz with Bashir, a film told in a simple animation style. When I saw what Ari Folman was able to accomplish, it sparked the idea that I could do the same. I didn’t need approvals: If I could teach myself how to animate, I could make this movie in my pajamas. Some more time passed, the idea zig-zagged and fell apart, I never did it, and then I moved from Europe back to North America. And the idea resurfaced again. Finally, I announced I was going to move forward with that idea and make it. I started the animation process, but continued to keep that script to myself. The sting of rejection is real – But, I think it’s not actually the rejection that is debilitating. What’s debilitating is telling it without receptive ears can diminish it’s power in the creator’s mind. The introspective process means that, like a surgeon's hands, the power that's operating must remain protected. But at some point, the creator must be willing to release it into the world. It was only this past year, after some frustrations working on others’ project and a few key meetings, that I decided to give the script itself another go. To send it back into the world. I entered the script in one, somewhat large contest, and continued on about my business. Last week, I happened to check the status of the contest, and noticed the script has made it into the quarter finals. It seems the story has resonated. Finally. The work, the craftsmanship, has caught up with the capacity to recognize a good idea, and, even if it goes no further, my story found some kind of an audience somewhere. Some reader or readers somewhere were able to recognize something in the story that I saw too. But that screenplay's structure has changed very little in ten years. And now, it has made it into the top 5% of all contest entries. All I needed to do was release it. And that’s a good reminder to tell my younger self: the kid walking around Krakow, Poland, who, instead of being a tourist, was content circling the city again and again, wrestling with the dilemma of how to never have to face the question of why no one saw what I saw in the story I had written. I guess I have finally have written what I saw in the story. The artist bears the news that must get through. There is no winter too cold. There is no challenge too great. The cost of the sculpture remaining locked in the stone for eternity and never realized. The artist is a warrior against the mundane. The artist's enemy is complacency, banality. The artist doesn't refuse reality, but frees the truth by capturing it in a frame forever. The world is dark for the artist, but never dim. The artist bears a light. The artist's eyes are always feasting. The artist sees allegory in the inanimate, a world where others overlook. The artist brings to life an empty page. "The field is empty before we arrive, and empty when we leave. We all know how this will end. But while we are here, we must play." How much screen time does an average actor truly have in a lifetime? Maybe a few hours. How much time does the athlete actually compete on the gravel in the 50 yard dash in a career? Maybe fifteen minutes total, if that. The surfer stands on his board no longer than a few seconds per wave. Most of his or her time, the surfer is paddling against the ocean. In a season, the average surfer has probably stood on the board for under an hour. One of the truisms I have found, especially among those who are expected to perform, is that so little of our time is actually spent doing what it is we say we do. How can you master the form if you are spending most of your time and energy simply positioning yourself? To master the form, whatever it is, you must be in form. You must be constantly doing what it is you set out to do. Our muscles must have the memory. You cannot go to an audition, perform only for thirty seconds, and expect to be Laurence Olivier, no more than you can expect to be Usain Bolt if you only run when it’s time to compete. You must be the actor, the athlete, the artist - outside of the ring. One day of longboard skating gives you more time training your mind and muscles to surf, than a season of surfing itself actually does. Performing at a children’s birthday party gives you more practice role playing than 10 auditions as an actor. And what is the result? Practice creates instincts, first nature. But it's not just practice. It's being what you say you are, at every opportunity. It’s not enough to say you are an actor, a filmmaker, a teacher, an athlete. You must constantly be in form, you must constantly be that which you say you are. If you are an actor, you must role play. If you are a filmmaker, you must tell stories. If you are a teacher, you must have students. Your time doing this should be mostly done outside of the ring, since you will have so little time inside the ring. So, let's just say the ring, the competition, the classroom, the audition is your reward for already being what you already do. Whatever it is you say you do, the question remains: Are you actually doing it? After several months of work, I am very relieved and happy to announce that the lighting on one of our most intensively blocked scenes is now complete, at least until the compositing stage. This scene was exhausting and nerve wracking from the moment we started the scene almost 3 years ago, with only one character's head floating around and no idea how we would do it, all the way through a set that fell apart, rigs that stopped working, and brains that stopped working (somewhat), until Friday when the last shot was fine tuned by the hands of a great artist. Now, only one major stage remains on before it goes to print. It's an incredible thing to see something that starts as just a vision grow into a deadly beast who battles you to the finish. But the dragon is whimpering at our feet now. There are many reasons for this. I will start with a very important one. I could not have done it without the help of an extraordinary artist, DJ Baylon, who has stuck it out on this project, through the good, the bad, and the thin times, since the first two weeks, 3 years ago, and he still charges forward today, right there with me through the trenches, already today knocking out the next hurdle. This is why we will succeed - because we are doing the work, and it really shows in the result. He deserves a lot more credit than I can give in a short paragraph, but I indeed will share more about the team as we go, because he is really a champion of it's success, as are each of the others. I will say this - My respect goes to the artists in the Philippines - they are tough cookies. We have faced typhoons, health problems, pregnancies, marriages, cultural differences, stress, technological and mental breakdowns, and everything else that comes with life- and we still manage to pull this movie together without ever having even met face to face. Although the project has had problems, no problem has been bigger than us. Whatever happens on this journey, nothing seems impossible to me anymore. Whenever someone asks how big my team is, I don't think of the number of people who are in it. Just know this - they are giants, all of them. The journey continues, but it's nice to take the backpack off a moment, look inside, and notice that our burdens have just become lighter (pun intended, of course). Still a few polishes left in the lighting stage, before we move on to the next scene, but it's nice to say that one of our more important and intensively worked scenes is mostly ready for render. One more peak has been reached, but there's another one ahead of us. You play the hand you are dealt. You won’t lose what you do not put in. It’s a gamble without answers. If you’re not winning, you’re losing. We all know there’s a certain amount of risk when you put yourself into anything. Something can go wrong, or not as you expect. The process might fail, disappoint, or break, to no fault of your own. Chances are very high that you were never dealt a perfect hand. Risking whatever you put in means you might lose it all. But there’s also another way the game may go. You can win with any hand. It’s not a gamble if you know how the game is played. If you’re not losing, you are winning. You cannot win back what you do not put in. So put in what you want to win back, what you think you can win back, what you expect to win back. And what you prepare to win back. You won’t win what you do not put in. When you win, you win back what you put in and more. You know the story, but they didn’t tell you what you really need to know. They say the story is about speed. The hare was fast, they say it could have won the race. They say it should have won the race. Instead, it gets caught up ridiculing the tortoise, until it falls asleep waiting for the tortoise. And so the tortoise wins because it just kept going despite the ridicule. That’s what they say is the moral of this tale. But that’s wrong, because it’s not true. Slow and steady doesn’t win the race. The hare’s objective was not to win the race. The hare thought his objective was to beat the tortoise. The hare loses the race because he simply did not play the game right: He thought the game was the tortoise. But the tortoise’s objective was to cross the finish line. The tortoise won because he was playing the game correctly. To the tortoise, the game was to cross the finish line, and the hare was just something that danced around him as he did so. There’s a big difference between playing for your opponent and playing for the goal. Sometimes we get tangled up, fall asleep, or grow frustrated because the tortoise is so slow. But the tortoise is another way of saying "this is the way the race is played." Process focused toward the finish line. Distraction and energy mis-directed at the process. You can be like the hare and mock the steps it takes, keep your back turned to the goal while jumping all around the process, taunting it until you have forgotten it completely. Or, you can be more like the tortoise by respecting the race itself, knowing your goal, and moving one step in front of the next. The quicker the better. The hare can never win the race, because the hare wants to beat the tortoise, not win the race. The tortoise can never lose the race, because the tortoise wants to cross the finish line. This week, I take another look at the award itself, from the other side of the coin. It Happened One Night was made in 1934, directed by Frank Capra and starring Clark Gable and Claudette Colbert. Ms. Colbert won the Oscar for lead actress, despite her believing it was the worst performance of her career. I wasn’t there when she won her Oscar, but a lot of people were. These people clapped, some cried, a few were jealous, but most of them smiled. Ms. Colbert probably held her hand up to her chest and exclaimed she couldn’t believe it, then thanked everyone she could think of for this golden statue, in as short a time as possible. She probably was on an emotional high for the remainder of the night, the rest of the week, and could return to that elation throughout the rest of her life. Ms. Colbert surely found a special place for the award, perhaps on her mantle, perhaps beside the photo of her and Clark Gable in costume on the set. Friends came by to gaze at it, they met for coffee and talked about what it felt like to go to the Oscars. Her mother told everyone at the sewing circle, and she was so proud. Actually, we really don’t know if any of that is true. We know that despite the grandiose moment, the symbol of great achievement eighty years ago, no one wants it today. In 1997, Christie’s auction house failed to sell it. There were no bidders. No one wanted the Oscar that meant so much to so many in 1934. Like many industries, those who work in film will fight and claw for the job, say anything for the prestige, and float for miles like buzzards over a crawling animal, waiting for a chance to eat. But the moment is fleeting, the satisfaction is temporary, and the glamour is traded in for a new dress every year. In a warehouse somewhere, all the unwanted awards wait, boxed up, wondering how they went from being the most coveted of all things, to something no one remembers. Her Oscar itself is worthless nowdays. I know this story because I subscribe to www.dvdinfatuation.com - "2,500 Movies Challenge" is a service ran by a guy named Dave B., a guy who loves movies. He sends out periodic movies reviews, and constantly shares his reviews on social media. He’s challenged himself to watch 2,500 movies and review them all for us to read. As I wrote last year, for those who make films, or whatever it is you make, the award is what you give yourself when you do the work. And, as we see from Ms. Colbert’s story, any other award is falsely disguised as a rush of endorphins that only lasts for so long. The award is great, but not the point. Those awards that anchor such emotion may end up in a warehouse, screaming like ghosts for their souls long ago lost: So why even have them? It's useless and vain. Or maybe it's not enough to just say this is a dog and pony show. The other side of the coin is people like Dave B., people like myself, and people around the world who love cinema. I’ve recently read friends try and knock the awards down as celebrity worship only, I’ve read and listened to this year's controversy, I’ve watched people talk about the gowns and people argue over who deserves what. I've seen people treat filmmaking as if it's politics, as if it is something to democratize, as if it is anything other than a collective dream. I’ve also spent a lot of time on my own film. An agonizing amount of time, in fact. So agonizing, that I’ve often questioned if it is worth it. Why dedicate your life to something that is so easily dismissed, especially in a world that moves too fast to notice? Something so prestigious one day will become something so unwanted the next. The sacrifices one make seem useless in a temporary life, all to create something that is watched quickly, if it is even watched at all. And then, I remember how much I love to sit and talk with friends over a cup of coffee about five minutes of a Paul Thomas Anderson film. It took us five minutes to watch, but continues in our conversation over the span of years. It must have been difficult to make, a film he spent years putting together, and as much time agonizing over the result. When I think it’s futile, when I think of Ms. Colbert’s Oscar reality, and the dusty warehouse of forgotten dreams, I remember that we didn’t forget. We still argue over which Batman is the most authentic, or wonder about the sanity of a Russian director who’s been making the same film for decades. I still eagerly open Dave B.’s posts and read about a film I never heard about, and will maybe never see, but one that inspires me just the same, if only for the story behind the story of making it. Or, I think about the carnival, this depraved carnival of making films, jumping from one production to the next, sacrificing any resemblance of a normal life, and often with the impression that those sacrifices are not noticed or even respected. I think of how demanding and arduous some of the work can be, when on a production, with little time, no money, and everyone wanting you to be cheap, but loyal and with nothing in return. But somewhere in that darkness, you find a twinkle in the eyes of some. Those who respect and clearly demonstrate appreciation for that hard work. Those who discuss with you their time working with their own heroes, and how they were taught to "light the air." Those who take the time to care about your own work. They are the ones you end up doing your best work for. When I think about this, I realize how much people love stories, movies, and the culture that exists between the agony of making them. And I see my own appreciation, and I realize my world would be less enriching without them. And this inspires me to get up one more day, and make my contribution, and to remain a grateful audience. We can't live the words of Oscar Wilde too long: "The play was a success, but the audience was a disaster," or we'll have no culture left. There'll be no reason for an Oscar, other than repeating Mr. Wilde. Thanks to those who appreciate and respect the work. People like Dave B., people like my friends and colleagues who take the time to care. Storytellers are nothing without you, and you are the most important part of the story. We won't need to travel in spacesuits to Mars, anyway. We won't have Google Earth, we will have Google Pluto, Google Nexus Nine, Google Dimension X. We will send our machines to Neptune to scan the surface the same way we scan the surface of Earth, pinpointing the geography of far away alien worlds in a high degree of detail. While we eat popcorn back home. We will use those scans to create virtual worlds that you will access with google goggles for googely eyed views of worlds you cannot touch, but you will be able to feel. Those virtual reality worlds will mimic the real one, far far away. Avatars will go for us, sending back and forth signals, and through the virtual reality, we will see what the avatar sees. And we will be able to direct it's movements, and it will perform for us on alien worlds. Entire universes are in our grasp. Virtual Reality will be the next step in exploration, because through virtual reality, we will be able to enter any space we can scan and turn into a virtual world. And through robotics and physical technologies, we will be able to interact with wherever we are able to scan. Human evolution did not end with us acquiring opposable thumbs. Many will be keeping up with the Kardashians. A few will be climbing the bell curve, one inch at a time. "We mold clay into a pot, but it is the emptiness inside that makes the vessel useful." Lao Tzu tells us that the function of a cup or a bowl is in it’s emptiness, not it's material form. The inner space is what makes a home livable, for example, and the vessel itself serves the emptiness inside. How does this apply to the function of the artist? And even a further stretch: What does this have to do with the daily grind of the highly technical work of a visual effects artist? There is something quite beautiful to the idea that we are constantly mapping out invisible coordinates wherever we move, and that the material world exists only from the emptiness that surrounds it. At the fundamental level, visual artists create form in an empty world. But we may also come to understand not only the creative process, but a closer connection to Lao Tzu’s idea by using the artist’s process as a point of reflection on the artist's actual resulting work. ​"The medium has a message." I once caught a fly and put it in a jar. With a video camera lens placed over the circular opening, I recorded it’s movements. Later, I painted a line behind that movement, because I was curious what kind of drawing it would create. The fly mapped out the coordinates of the empty space, and I simply followed it with a line. The result of the fly painter was a form, a design – but my process of tracing it’s movements was also an expression. Is the artist the fly, the technology, or the person crazy enough to think and act on the idea? 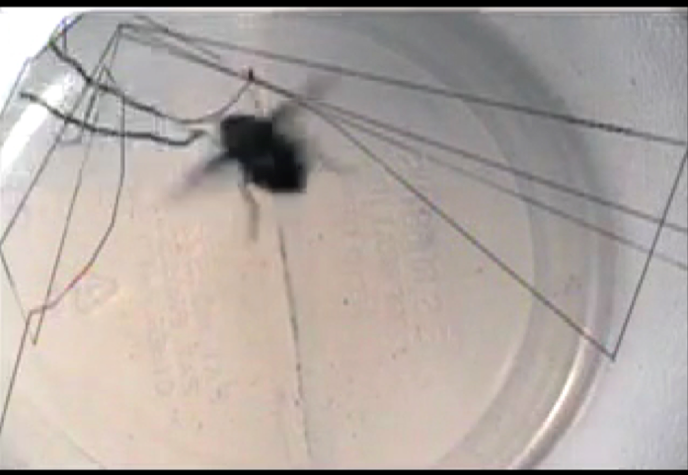 Furthermore, it is the emptiness of the space the fly activates which holds the funtion and parameters of his movement. From "Birds on a Wire" circa 2003. Birds hover and land on an invisible wire, thus mapping out an implied space we know is there, but never see. From "Ocean Implied," 2002. Forms take on various shapes as they play: Dipping in and out of the cosmic void, implied by the negative space of where an ocean seems to be. ​Lao Tzu’s idea is not technical. This Taoist idea of empty space is existential: The matter itself has no function. Although his view is a philosophical one, we will travel through the world of technology to arrive at a deeper view of Lao Tzu's statement. 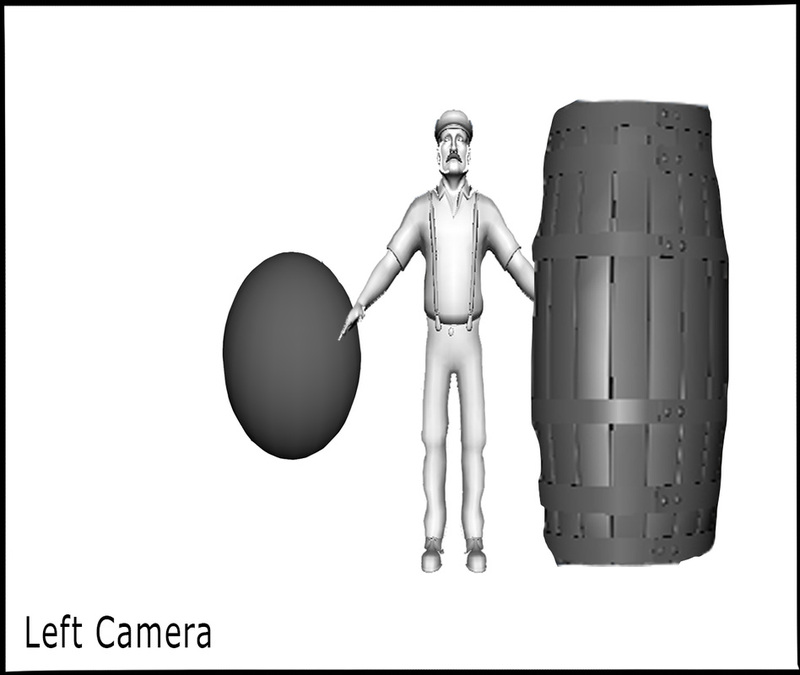 The most rudimentary way vfx artists simulate a three dimensional space is through manually modeling an object. 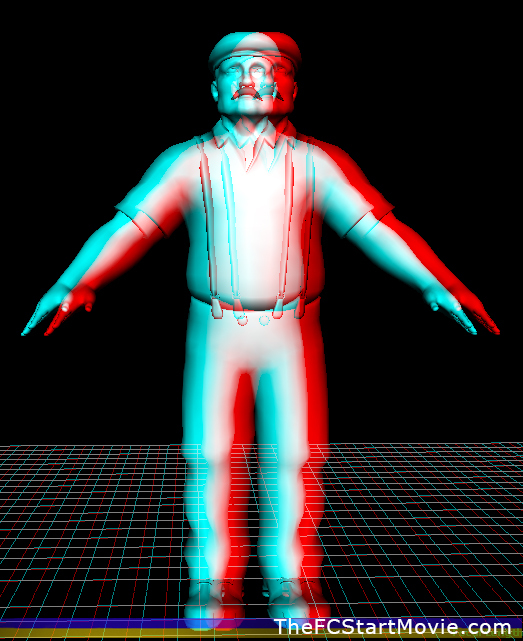 The models are built, at a computational level, through trigonometry, to create meshes and vectors. These polygons increase to become higher and higher subdivisions, based on how detailed the model is. On a side note, I was very surprised to learn recently that my uncle, who was an engineer for NASA, actually was involved in the early stages of this technology development! I was in the middle of showing him some animation, and he barely noticed the story, but became extremely excited about the math he was seeing on screen. I was trying to share the motivations of the characters, and all he saw was trigonometry. After learning that my own uncle was one of the early pioneers in developing this very technology I was using, so he could help improve space exploration, I certainly felt a sense of responsibility before beginning the animation on the next scene. We stand on the giants and see further, as they say. In fact, much of the technology the visual effects artists use today originally started in other fields and uses – such as aviation, NASA, and the military. It was the artist who saw another potential. I will share more about this, as we go. In any case, manually creating 3D models allows the artist to use the imagination, as well as combine real world application, such as modeling a piece based on a photo or piece of architecture, or figure, they studied. 3D modeling itself relies heavily on the technique and skill of the artist, so this way of creating an environment is probably not going to be accurate enough to always blend in with detailed, real world interaction. The artist will do anything to improve the quality of their work, even if it means handing over some of their technique to the technology itself. Did you know a three dimensional model of a real world object can be built by taking photographs of that object? This is grammar. Photo grammar! 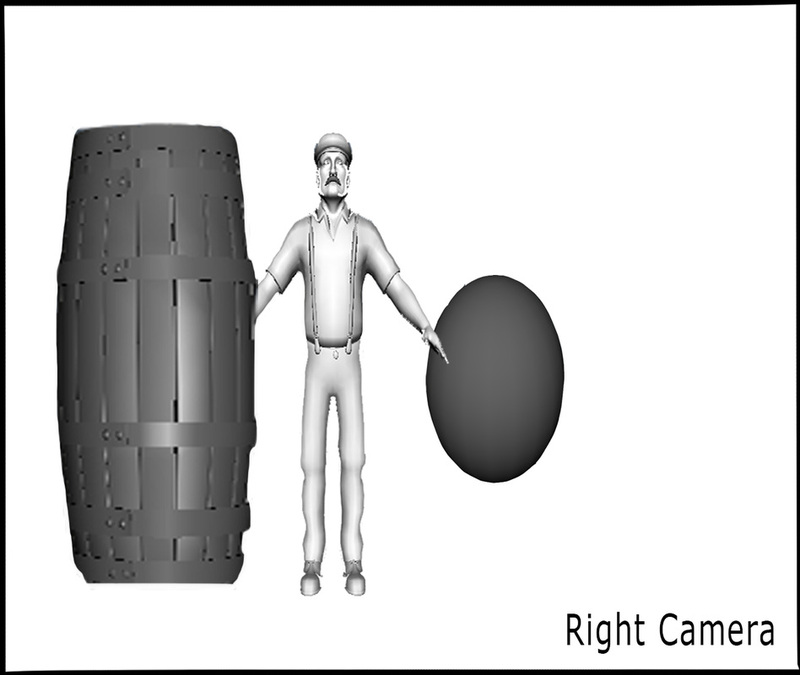 Photogrammetry is the science of making measurements from photographs. Photogrammetry is used in satellite tracking of the Earth’s geography, used in geology, and meteorology, amongst other practical uses. But, of course, the artist took those ideas and used it to create their own worlds! 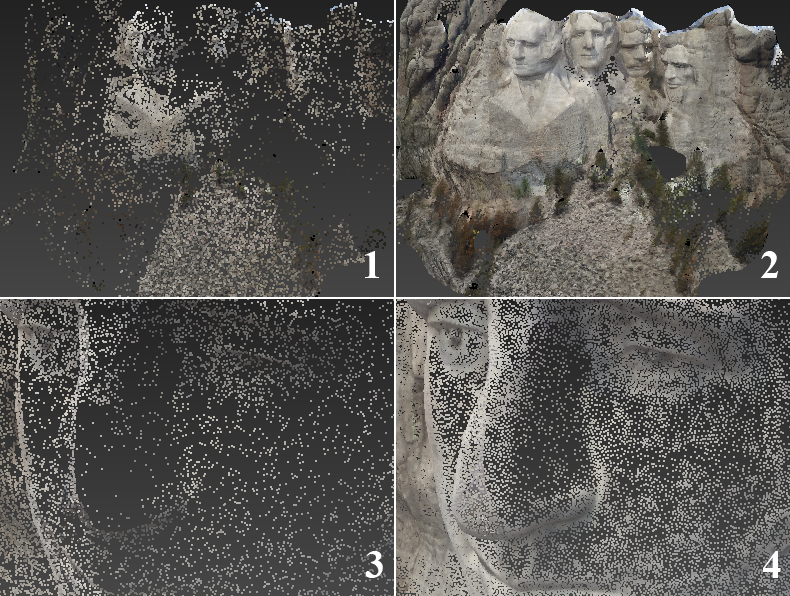 Through photogrammetry, clouds of data are collected on hard, defined points within a photograph. Let’s say, for example, you want to model the corner of your garage using photogrammetry, rather than just modeling it by hand. Essentially, the technology is creating repeated relationships it recognizes of the same object viewed from several angles. Photographs from several angles map the space out in three dimensions, not only for your eyes, but now the technology as well. Often, these photographs are not enough to simply build a model. The point cloud system is data for the computer, and usually the artist will be required to manually make adjustments and speak the grammar of the technology itself to complete the model. 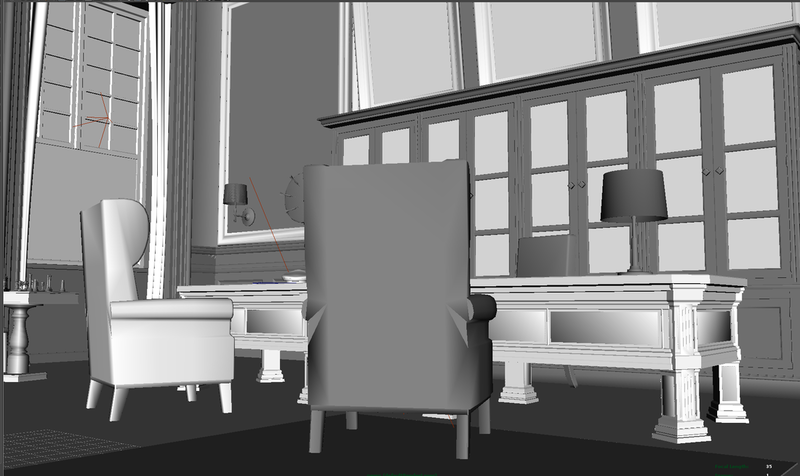 Often, in filmmaking, the artist uses photogrammetry to create his or her own version of a space that the live action camera team will be recording. Let’s say, for example, some action takes place between the actors, and the camera is moving about the space. The artist may need to alter that space without the audience noticing it is a digital room. Through photogrammetry, the artist is able to simulate an accurate picture of the three dimensional room without creating any seams. The audience will watch the film without realizing a digital set has replaced the real one. This illusion gives the audience the enjoyment of the spectacle of the effect without being taken out of the real world the live action filmmakers have been creating. Why Use A Ruler When You’ve Got A Light? LiDAR is an even more sophisticated and detailed way of using the same principles of photogrammetry. This system of technology uses light, in the form of lasers, to measure precise detail of a material surface. It was first used in meteorology, soon after the invention of lasers themselves. NASA has used LiDAR to actually map the surface of the moon, and aviators use it to measure elevations of the Earth to help prevent flying into trees. Satellites are even using them to scan the Earth. But my favorite use is from the artist. Filmmakers use LiDAR to scan the environments they may need to simulate in a digital recreation. With these lasers, they track the coordinates based on where the laser is positioned within that environment. This part of the technology works kind of like a detailed GPS, but with the essential element of tilt, height, angles, and horizontal axis calculated in order to also balance the image result. This data is recorded into a computer and can be translated into a point cloud system, similar to the photogrammetry system shown earlier above. Essentially, the laser sends out a pulse. That laser’s pulse hits the object and then travels back to the LiDAR sensor. But one of the key elements here that separates it from standard photo based photogrammetry is the LiDAR system is also calculating the time it takes for that pulse to return to the sensor. So, the signal is sent from the LiDAR unit. That signal travels to an object, and the signal is sent back to the unit. ​The speed of the light multiplied by the time of travel, divided by two (light to the object and it’s return) gives us distance. With distance, we now have a measurement. When the laser scans the entire environment in this way, it creates a powerfully detailed measurement of the environment. ​Although time consuming, this is currently the most accurate way of those listed to arriving at a precise map of an environment. This is due largely to the fact that we are not using a manmade ruler, for example, to make a measurement, but actually using light itself as the principle collector of data. Light can travel to the top of an object, giving data on the top of the object and back (distance 1), but also travel through the object and back (distance 2), giving us an accurate picture of what is on the other side, and the density of the object itself. This is very powerful, and if you think about it too long, you may understand all too deeply what Lao Tzu meant when he says the function of a vessel is it's emptiness. So, visual effects does not need to be only a utiliterean tool to bring a simulated dinosaur to life to scare the audience on a movie screen. ​The process itself may be a meditation on the very nature of reality, the distance between things, and the illusory nature of form. Which brings me to my original obsession. What are we, but the emptiness between? Light itself may be used to measure not only distance to an object, but it's density. We are defined by our negative space perhaps more so than the space we occupy. Or to paraphrase Lao Tzu and the tenants of Taoism: It is the emptiness inside that makes the vessel useful. We may see this in visual effects whenever we seek to map out a real space. The point cloud systems which are defined through our various ways of measuring spaces hint at the very nature of space itself, arriving at a philosophy already developed in China in the 6th century of recorded time. The Taoist philosophy of emptiness is put into practice through measurements. The next time you measure water to boil your spaghetti, remember, you are measuring, or defining, not only the material, but the empty space which gives your measurement their forms. ​But through mapping out spaces in visual effects to create simulated worlds, we define form in a world which is perhaps nothing more than an illusion, an empty world. And we activate meaning, by making the illusion seem real. When you watch a movie with the 3d glasses, did you ever wonder how it works? What is going on to create the illusion that an image is popping out of the screen? This week, I will share with you how we do this. Although the technology may seem complex, I have structured this piece in such a way that I hope it is easy to understand without using too much jargon. 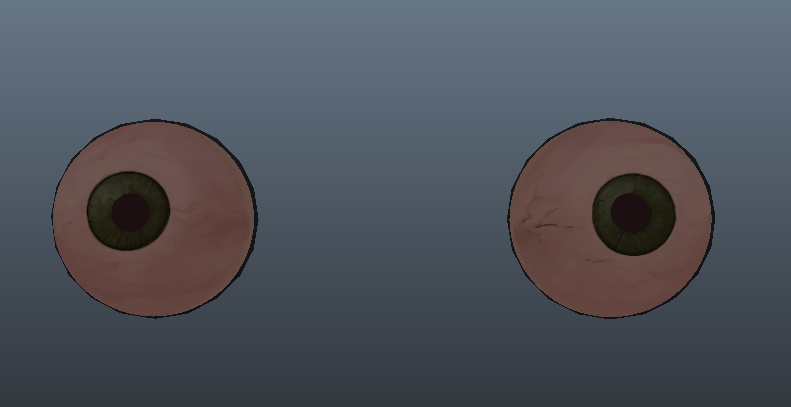 First, I will share more about the biology of the human eyes and how they are designed to make this technique so accessible. I will then explore how the filmmaker harnesses these natural laws, and then share a bit about how the compositing artist brings it together once the images are captured. And, finally, I will show you the magical way science and engineering come together in the cinema so that you may experience this phenomenon. First, let’s start with some basic terminology se we may kick off from the same page. “3D”, which stands for 3 dimensional, is always going to be a bit of a misnomer for any image, because nothing you see on a flat screen is actually in three dimensions. While all images are in two dimensions, some software allows us to work in three dimensional space. Stereoscopy is a more accurate term to describe the movies one watches with the special glasses that give the effect of images floating in front of the screen. Just as we may hear two sounds in stereo, with this kind of filmmaking, we are also seeing in stereo. So, for our purposes today, we will be discussing this kind of image making as stereoscopic filmmaking, rather than “3d”. In order to understand more how the filmmakers, artists, and engineers create this optical illusion, it is helpful to understand how the brain receives and interprets light through “binoculars” (two eyes). If you are to alternate shutting one eye and leaving one open, you may notice the illusion that whichever object you are looking at has moved. This is, of course, not the object moving, but a result of seeing the same object from two eyes, which are naturally in different positions (I hope). ​But the eyes are never looking “straight” forward, they actually each have the peculiar and independent ability to shift their respective angle, based on the object they are both looking at. If the eyes were, in fact, looking parrallel, you would, of course, see two images, and probably go slightly crazy. This makes sense, because the angles are the determining factor in preventing double images. If the object is far away, there’s less of an angle needed for convergence to take place. As your eyes will never be parallel, they will also never invert the triangle, i.e., shift to view the extreme outer sides independently. ​On the other hand, the angles sharpen the closer the object is, so the more “cross eyed” one appears when looking at it as it is closer. This is all due to the angle of convergence. Since the eye is actually a part of the brain, the point of convergence occurs, really, in the visual cortex part of the brain, where the two images, in a sense, become one. So, in effect, our sense of depth is influenced by a result of two images projected onto our retinas from two different locations (binocular). 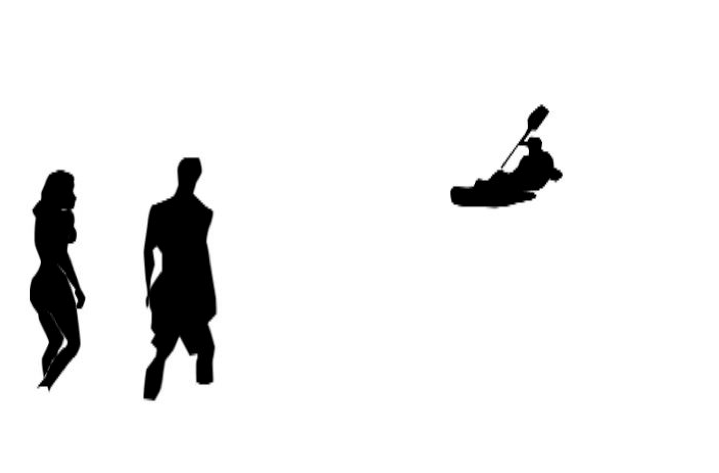 This difference is called parallax, due to the object being interpreted from slightly different positions. A good example for understanding parallax is to look out the window of a moving car and see objects close to you moving quicker than those in the distance. This is because of variation in distance, not any variation in the speed of you or the objects. No matter how fast you go, the relative distance between foreground, middle ground, and background is what is affecting the parallax. The evolutionary benefit of this system includes the ability to perceive depth at a close range, thereby protecting the organism from a world that is not flat, but a world full of the teeth of predators in three dimensions, making them harder to escape from. If you are constantly bumping into a flat and confusing Picasso world of 2 dimensions, you probably will be eaten! ​Two eyes help you with this. In filmmaking, the camera simulates the mechanism of the eyeball by receiving light through the iris and the lens, where it is then recorded for playback. ​Playback is the one thing cinematography gives us better than the brain itself, and why it’s so powerful for storytelling. Cinema allows us to experience, and re-experience a collective lucid dream (Whereas the playback of my own dreams is usually dysfunctional before I have my first coffee). However, most cameras are not binocular, they are monocular, with only one lensing system. So, we might say, for simplicity, that the converging mechanism taking place in a binocular system, such as the human brain, is actually, in a sense, absent in the single lensed camera. 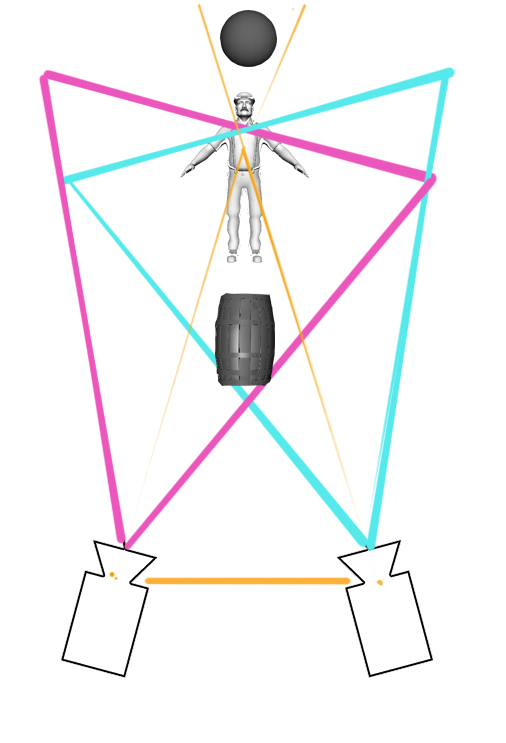 Instead, with stereoscopic filmmaking, we are simulating not only the projection of light onto a sensor, through a lens and iris like an eye, but also by creating a system of convergence that happens with a binocular system. So, stereoscopic filmmaking actually simulates the binocular, by recording images from two different positions. 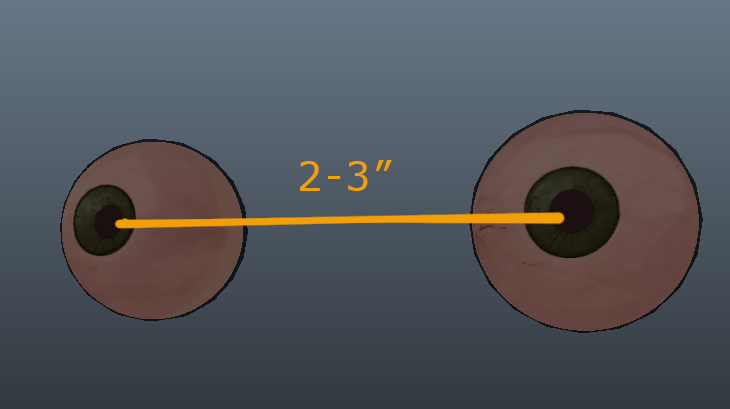 The distance between the eyes is called interocular separation, and that distance between two human adult eyes is typicaly between 2-3 inches. So, the stereoscopic filmmaker mimics the interocular separation by also creating an “interaxial” separation between the two cameras. - For these purposes, we should just always remember the premise of stereoscopy: Simulating the binocular. The distances are based on relationships between the eyes and the subject and how you want the viewer to experience it. Like each eye angles towards what it wants to focus on, the stereoscopic cameras’ lenses are also angled at a point of convergence. 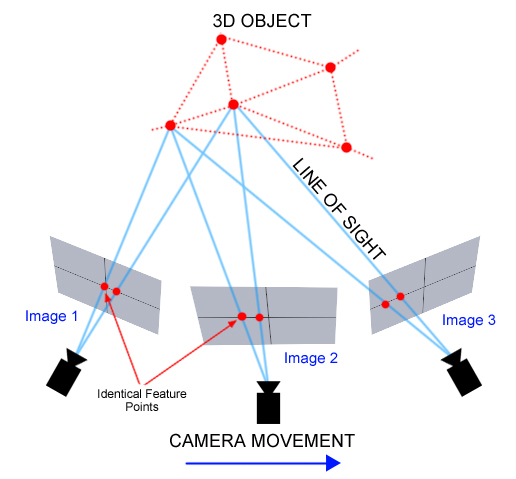 So, at the stage of recording the image, the stereoscopic filmmaker is essentially triangulating on an object and creating parallax through a two camera system designed to simulate the binocular system of the eyes, which allows for a trick of depth the way the eyes do. The process of stereopsis is simply tricking people into thinking they perceive depth floating off, on, and behind a flat screen. 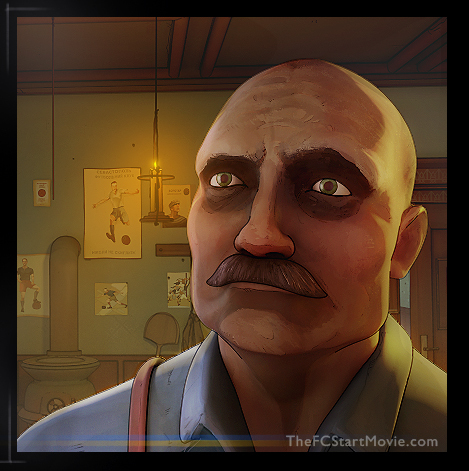 Objects in a scene will have different horizontal offsets, due to the binocular system, so the wider the range of foreground, middle ground, and background, the more opportunity for parallax. However, the point where the angled lenses converge is also the point of “no parallax.” In simple terms, this means that the triangulation on an object has created a point where there are no “double images.” This occurs where "the eyes meet," in a manner of speaking. With the image projected, this point of convergence will be flat on a viewing screen, because there is no parallax at the point of convergence. Moreover, anything outside of that point will produce the illusion of either being in front of the screen, or behind it, hence the so-called "3d" effect. A simple way of understanding divergence is to invert your understanding of convergence! ​So, the eyes are not only converging on an object, there still exists a kind of double image based on how close that point is to the eyes. This is due to each eye, again, being in a different position. In other words, we still see what is in front of the object of convergence, as well as behind it - another great evolutionary benefit that also helps filmmakers! ​If you hold something close to your eyes, you will see double images behind it, because both of your eyes are also seeing into the distance behind and in front of the object in focus. In a sense, this double vision is what happens in a final stereoscopic image you see projected onto the screen. So, we have two images, from two lenses. One object is going to be at the point of convergence, and anything on the left side of the left image should have a corresponding right side due to this convergence. Imagine that each eye “continues on” after the point of convergence, which is on the human figure below. ​This causes the furthest object to appear “behind” the screen, creating positive parallax, so to speak, as a result. Because of the triangulation of the eye combined with the separation of the two images, we are able to see “under the hood” of the parallax that’s created by looking at either the right camera or the left camera. From this triangulation, we also see the foreground with a corresponding image between our eye and the point of convergence, creating the illusion that it is floating between us an the screen. This is negative parallax. So what appears on the screen is the result of convergence, and what appears to be floating or behind the screen is a result of parallax. Once the images are recorded, a compositing artist takes the work done in camera and brings it together to create the final output for projection. The post production process can be very challenging for a stereoscopic compositor, because not only does a lot of work often need to be done on a single shot, the artist is also working on two versions of a film, plus any decisions made when shooting it, and let's not forget that rarely is a film composed of only one shot! (Not to mention lots of sushi breaks. Never mention the sushi breaks). Shadows are often dealt with for each of the two cameras for every shot, and any changes are made to improve the effect, color corrections applied, and various visual effects work done to both images. ​So, once all the final artisan work is done, the final motion picture is output and projected for viewing. How does the viewer watch these double images as one, without seeing double? To eliminate the problem of doubled images, many ways have been explored, but we will focus on the most popular, and most effective, which is through circular polarization. Polarized waves are an interesting phenomenon that humans artists and engineers have harnessed, in effect, by switching light waves on and off for each eye. Polarized light is a light wave that vibrates on only on one plane. 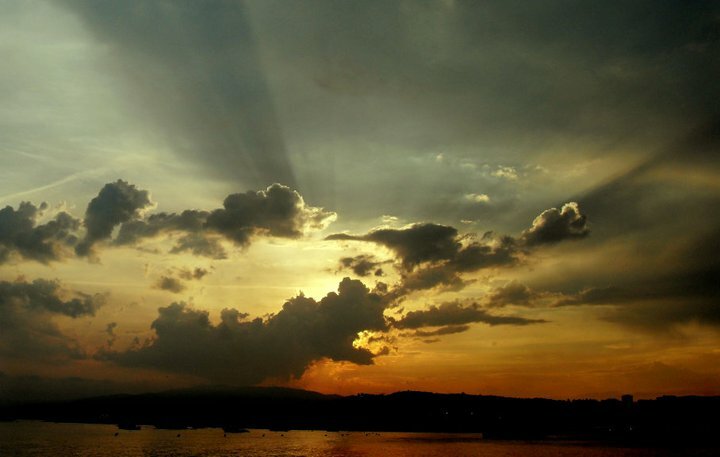 The light of the sun is not polarized, for example. Sunlight is made up of light vibrating on many different planes. However, through polarized filters, we may take that light and filter it into only one. You can imagine horizontal vents on one filter, and vertical vents on another. When the nonpolarized light passes through that filter, only a horizontal or vertical light wave makes it to the other side. The other planes of light are “switched off” so, in effect, one vent is receiving only horizontal light waves, and another is only receiving vertical light waves. To use these “vents” for viewing stereoscopic images, we may construct the so-called “3d glasses” with one eye using a vertical filter, and the other using a horizontal filter. Now, only a vertical wave will arrive at one eye, and a horizontal wave will arrive at the other. To complete the interaction, the projection must correspond to those vertical and horizontal receiving filters. The effect is the viewer receiving 2 images, separated by vertical waves in one eye, and horizontal waves in the other, while simultaneously blocking out all other wave patterns. This allows the viewer to see two images while his and her brain is tricked into thinking he or she is seeing one. The trick here is that each lens of the glasses is turning off one while leaving on the other. ​What you are seeing are stereoscopic images, and it is a result of the artists and engineers simulating the way your eyes already see, with two lenses that converge on one point, and then a post production artist manipulates the resulting double image, probably giggling in an evil manner as he does. Through a sleight of hand, filmmakers use the science of turning off both your eyes to different wave vibrations without you knowing they have done so. When you hold your your finger up close to your eye, the sense of depth you experience is your binocular system seeing, not only the point of convergence, but the parallax created by such a system. But when filmmakers do it, it is because they have mimicked the way your eyes already function to create depth in a three dimensional world. This month, we share a simple technique to turn live footage into 2d animation. He was stuck here, needing a ride, and I was sure there would be something I’d gain from the experience. In my mind, he was a character worth meeting. As we drove down the road, he confirmed to me that he was definitely, indeed, a character. Full of color and flavor, he talked my ear off, charming and funny, even though I cannot remember anything he said. His voice was slurring and waning in and out of coherence. A weariness of life in his voice, something darker emerged underneath his humor. It wasn’t long before I smelled the scent of alcohol in his breath, and realized he was actually not someone traveling on foot, but someone who desperately needed a ride. I dropped him off at his home, and before he shut the door, he turned back. I gave him a couple of bucks. A few dollars short, and slightly depressed by the drunkard hitchhiker, I wasn’t sure now that he was a character worth meeting. But maybe he’d just had a bad day, maybe a bad year, maybe there’s more to him than this. A few years ago, he probably owned a fishing boat. A few years before, maybe he’d had a successful business. This was a slump in his life. A few years from now, he’ll be back on top. Fifteen years from now, I might not even recognize him, there's no knowing how far away from this moment he will be. I watched him go. Knowing I’d never meet him again, I was glad I had helped. I moved to Atlanta soon after, wide eyed that great things happen in big cities, and that’s where I should be if I was going to do great things. The trajectory was enough to keep me moving, and along the way, I was sure to find a destination. Just keep moving. I was right about one thing: trajectory. If you take one step, you must take the next. That leads to another, and soon the world expands, you’re not looking at your feet, but you’re looking at the road ahead of you. If you are open to life, and all the possibilities, you don’t need a destination for things to get interesting really quick. You only need the motion. I graduated from college and snatched up any opportunity that came my way. I was quickly directing for local market television shows, creating videos with founding hip hop stars, and hanging out with an interesting collective of artists, who were all trying to make a dent in the universe. But without a destination, you never meet the horizon. It’s always out of reach. Through many wandering opportunities, and even more interesting characters, I soon found myself living in Europe, still searching, with more miles behind me at every turn, but still with the elusive horizon ahead of me, always miles out of reach. I taught myself Italian in Italy, partied with movie stars in Prague, snowboarded the Austrian Alps with Hungarians, and studied visual effects with Czechs in London. I worked hard, I played hard, and I gained and lost in equal measure at the great gambling table of life. But what originally was meant to be a few months abroad turned into a year. Before I knew it, a decade had passed, and I was not the same wide eyed person who arrived to absorb it all. The sponge was full, and I was full. I had accumulated enough tragedies, hilarity, victories and defeats to last a few lifetimes, with no room left for more. It was time to give the sponge a squeeze. On my way out, I was trekking through the south of France for one last leg of a long and event filled experience, when serendipity came around to visit again, although it wouldn’t be apparent until now. I was stuck a few miles from Nice without a train or bus coming my way for several hours. It was a long hike, but the view was incredible. On one side was the palace of Monaco, right below the road, a breathtaking view. Here, Prince Albert lived (I thought he lived in a can), and just around the bend was a lagoon of crystal blue water I’d swam with a Norwegian friend, just the day before. Above the lagoon, the ancient town of Eze was on the top of a very steep hill, always in sight, and I knew inside that town was tiny little passages and a history equally full like a sponge. Just around the next curve would be a bay, full of yachts and partying movie stars who I had bumped into at the Cannes film festival only a few days before. The walk would be interesting, for sure. I didn’t mind. This was a wonderful thing. But I was not so familiar with the area, so I stopped a young couple just walking up from the beach and asked them for directions. They told me they had the same destination and they could give me a ride instead. But taking a ride, the palace of Monaco passed by me quite quickly, as did the town of Eze. We rounded the bay, and I barely saw the lagoon I had swam in before. I had only a moment to enjoy the bay, and although the sun was setting, I’d never watch that last glimmer of light as I had thought. I’d be in Nice in minutes. Before our destination, we stopped at a shop for the young French couple to buy a bottle of wine, and we sipped wine and shared stories and laughs the rest of the way. Hitching through life, enjoying the view. Never easy, but always worth it. Not in it for the destination, but in search of experience. I’d lived three lifetimes, full of memories, experiences, and knew a cast of characters interesting enough to create our own opera. To be the hitchhiker was a wonderful thing. I returned to the United States, and I felt like Henry Hill at the end of Goodfellas. Sitting there in the normal life, not really congruent with it at all. Who were these people in their Izod sweaters and SUVs? The life of six inches in front of me at a time was now gone, and all I had left were the pretty neighborhoods, ugly shopping malls, disgusting billboards, and friendly people who read the newspaper in the morning. Where were the colorful characters who built robots for Star Wars, the seedy underlings who steal your jacket and then try to sell it back to you, the man from Luxembourg who pees on a police car while talking to the policeman who drove it? Where was the artist who risked death to paint a Russian tank pink in defiance of Soviet invasion, and now hangs out and drank beers with you at the bar while he plots his next great middle finger to the establishment? Where was my friend who stumbled across Budapest with me, recounting tales of death and danger, being shot at while he was a cameraman in the Bosnian war, and with videos to prove it? Where were the tall tale telling tumblers of life, touring through the dream? Where were the dangers of the unfamiliar, the epic possibilities of the wild wild east I had come to know? The thirst for life had not been quenched. The sponge had been squeezed, but I’d left a vacuum in it’s place. But even worse, there was no one who knew what I was talking about. I went back to the old stomping grounds, the place it all began. Just down the road from that golf course I worked at the summer before I left. When I got in my car, everything was fine. The sky was clear. But not for long. The open air suddenly closed up, tightened by a blanket of black clouds, which released a cannon of rain, firing down, beating my car like bullets. The storm seemed unreal, like it was waiting for me, peeking out from somewhere else. Only when it was sure I was on the road, too late to turn back, would it show itself, and with great vengeance and a cackling laughter of lightning. Splashing through pocket deep puddles and keeping my eye on the road, I spotted two figures ahead of me. They were on foot, also caught off guard in this tempestuous and angry world. I knew how that was, and I wasn't going to let us all go down alone. Though the rain had come from nowhere, it would now bring us together. I pulled over, in front of them, and they ran to hop in. One of the men got in the back and the other sat next to me in the passenger seat. They weren’t going far, to a store up the road on my way. They could use a ride. “Why not?” I spoke, to myself. As they spoke back, I felt a presence of familiarity. I looked over at the man sitting next to me, not in the back seat. The one who'd chosen the passenger side. The one with a weariness in his voice. He had a mustache and wrinkles, a baseball cap, a smell of grease and liquor and a colorful air of experience in his eyes. I recognized him, but I couldn’t place how. “I’ve given you a ride before,” I said, not sure when or where, but knowing that if I said it, he would find a way to tell me. “Yea probably so, man,” He said, dripping all over my seats, nonchalant, as if he'd done this before. I knew him from somewhere, but where? And how did he end up here again? Suddenly, I saw serendipity, sitting next to me again. “Say, you mind waitin’ out here for us, and givin’ us a ride back?” He asked, as I pulled into the service station. Fifteen years since ago flashed forward and met me here, on this same road, this rainy night. I had given this same guy a ride from the golf course long, long ago. I'd returned briefly, and now here I was, a lifetime later, doing it again. Prague, Budapest, Italy, tragedy, victory, agonizing defeats, and splendid successes all stood between both our younger selves. Or maybe not. What bridged us both depended on where each of us stood. Because, perhaps, for him, the gap of time that separated us had only been several bottles of liquor and a few long walks when no one heeded his thumb in the air. Same old road, same old questions. “I’ve got to keep moving,” I told him. I could help him when we were on the same path, but at some point, that path diverged. He would need to carry it the rest of the way. “A’right, man.” As he got out, stepping into the drenching rain. He was willing to pay that price, I guess, for what he really wanted. The door remained open for a beat, like he had something else to say. “But do you mind loanin’ me a couple bucks?” One last deja vu from the hitchhiker. I declined, a bit in a daze, more in awe of the moment than I was in what either of us were saying. He didn’t remember me, but I remembered him. This time, I didn’t give him a couple of bucks. He didn’t remember me because I was not the only one who’d given him a ride. And he didn’t remember me because he didn’t want a destination. One of my greatest teachers shut the door, disappointed. Once again, I knew I had met a character, the same character. But I was still not sure if it had been worth it. I watched as he asked someone leaving the store for a dollar. But I looked back to the road ahead of me before I saw their answer. As I continued on to my destination, the awe of coincidence wore off, and it all came back to me. The nineteen year old, wide eyed about the world, who gave this same hitchhiker a ride so many years ago had just met Sisyphus on the road to a liquor store. I’d lived a lifetime and he was still looking for the same five dollars. The memory stays with me, but in my life I have realized there is no such thing as the uncanny. In Dante's Inferno, Virgil takes the poet Dante through various layers of hell, showing him the possibilities of fate. Don’t mistake the luminous for the mundane. Even I found it, outside of the wild wild east, the adventure I sought, and in the land of billboards, pristine and packaged golf courses, and stories in the newspaper. I picked up the hitchhiker when I was a kid because I knew stories came from life, and lessons come from stories. But the lesson, the story, did not end when I gave him those couple of bucks. The lesson ends here, today. The rain stopped, eventually, and the sun came out. That storm which seemed to be handmade especially for that meeting disappeared like a faded memory. Like a dream. I likened the experience as serendipity, the magic of coincidence. I was happy that I stopped both times because stopping to help had created the coincidence. But not long ago, I was back on the same road, near the same golf course, driving the same car. I saw a figure ahead of me, walking towards the only store around. Someone who needed a ride. I didn’t need to look to know who I saw, and why he was stumbling towards that store. I saw myself reflected back. I saw my own journey in his steps, moving and not going anywhere, and I gripped the steering wheel tighter at the thought. This time, I didn’t stop. I was too disturbed. I kept my eyes on the road. But a shift was occurring. My eyes are not on my trajectory, now they are towards my destination. And that’s where the lesson ends. You receive what you ask for in life. For some, it’s motion, a trajectory, and not a destination. You’re happy with the journey. For others, there’s a destination, but what they’re really looking for is a ride. And for some, that wine store is not the destination. It’s just a short stop on your way to Nice. Either way, it doesn’t matter what the weather is like when you set out on foot. The weather can change in an instant, and you must decide if you continue forward or go back. I traveled four hours last night in a torrential storm to solve an internet problem so I could deliver this story today. The universe will have an attitude anyway, so you better have a destination that’s worth the storm. I say, hitch the ride when you need it, but give the ride when you can. It’s called a gift because of the exchange, so you better pay attention. Because the palace of Monaco will slip past your window if all you ever did was only hitch a ride. And you thought it was a wonderful thing. TheFCStartMovie.com - hitch a ride with us. ​Once a month, through email, I share a video behind the scenes of our film. I show some of the work, but also share experiences, stories, and antecdotes along the way. If you missed the last video, here is a fun and informative look at a question raised by a fan. "How do the scenes of the story come together?" A story is broken into sections, like an architecture is framed, divided, and then fleshed out. But a story starts from one particular nucleus: The protagonist. Every story must have a protagonist which meets forces of antagonism. Without these two counterpoints, you do not have a story. You may have a portrait, but without conflict, there is no story. When we refer to "character," we are not referring to traits, but to the resulting effect of the protagonist's (or antagonist's) actions. For example, a supposed "bad guy" could wear Batman's costume throughout a film and perform villainous acts. He may look like Batman, but his choices tell us he is not Batman. Therefore, the costume is the characteristic, the choices are the character. ​For this reason, we should use the word "protagonist" in place of character. The story begins when the protagonist's life is thrown out of balance. Something happens that creates a crisis, which must be resolved. He or she now has a desire, and that desire drives the action. This is why an assistant director yells "Action." Stories told on screen are not told by telling an actor to go ahead and "Think." We know the character through action only. An incident forces the protagonist to start making choices. Each choice is met with more antagonism, creating rising action through turning points. These choices do not resolve the conflict, but they bring us closer, as each choice rasies the price of a final decision. This final choice must be an unavoidable truth, which we call 'character.' In a successful story, we don't know the character until that final, unavoidable choice. And this final choice must resolve whatever threw their life out of balance at the beginning of the story. ​Character is a residue of action, it's the truth we discover only after the story has been told. Often, up to that point, the character is either lying to himself/herself, "wears a mask," or he or she has yet to fully realize what the story has been telling us all along. Once the protagonist makes that final choice, the story has resolved itself. Composing this story idea for film can be understood in structural terms as well. Imagine that music is composed of little notes that come together in sequence. Notes create movement, but the musician is not composing notes, the musician is composing song, and using notes to do it. The musician is creating patterns of harmony that result in an inner world, which frames up an experience for the audience. It's very similar for film. Let's consider story the same way we consider character to be a sum of it's parts. We don't have character without the sum of choices which reveal a truth in the face of antagonism. It's no coincidence that the word drama is so similar to the word trauma. Conflict creates story. And a story is told and complete, and successful, only when we arrive at final character, or final truth. Acts are a way of organizing story. Their existence should be almost invisible to the audience. The Act is composed of scenes, which flow together in sequence. I define a scene by it's transition. Somewhere, within the rising action, a transition occurs between two polar opposites. For example, a situation may be good for the protagonist in one moment. When it shifts to it's polar opposite, a scene has just occured. The best scenes end immediately after this transition, which carries us into the next scene. The scene is composed of beats of action. The storyteller uses beats the same way musicians use notes - to carry the movement. Not to show how great an actor is at his characteristics. Each beat must be building into a scene. Each beat of action in a motion picture is captured in the image. An actor may move about, creating these beats of actions, and the filmmaker must decide how to compose those notes in a sequence that best communicates his or her intentions to the audience. Several beats usually happen in a shot, but sometimes one or two beats of action happen and then the shot cuts to the next. The master shot, or establishing shot tells us where we are, as well as gives the audience a chance to be an observer. The wide shot may alienate the audience, or it may give them a chance to refresh after a previous moment. The coverage and medium shots allow the audience to feel they are a part of whatever is happening on screen. The heart of the story often occurs in these shots because of their intimacy. The audience is the third participant in the action that's occuring above. The close up shots point to something specific in the scene. In designing camera with mediums and wides, these closeups work best when the filmmaker wants the audience to remember something, or recognize it's importance, and for this reason, they should be used selectively in a design relying on these shot patterns. 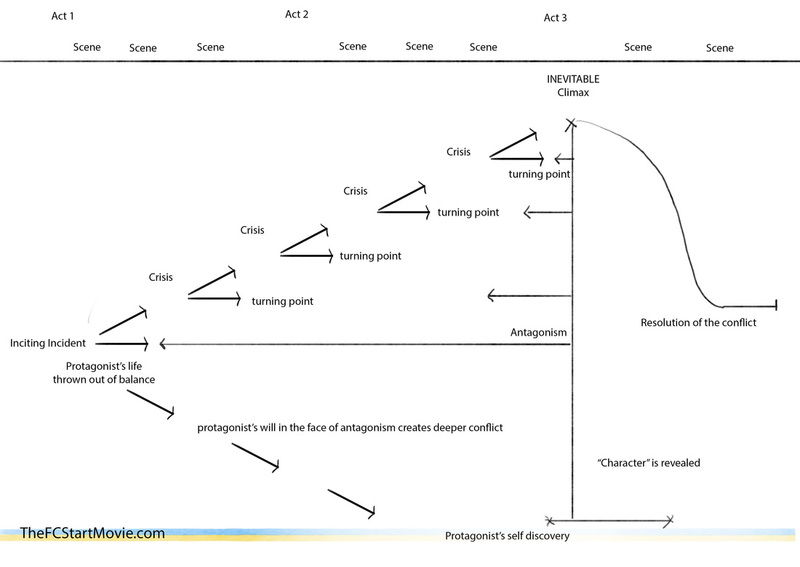 Although this can be a simple way of looking at shot design, these are the fundamentals from which a film story may be told successfully on screen. A musician has only a range of what we call 12 notes, but through those twelve notes, Mozart composed his greatest symphonies, and with those same 12 notes, Justin Bieber composed his worst. If you like to receive more, I recommend joining us by signing up for our behind the scenes updates. Once a month, I send out a short video sharing what we are up to, and I address the challenges of making a film. It's entertaining and hopefully informative. Plus, you can see some of the work going into our movie. Over the past year, starting about this time last year, I made a commitment to contribute to my online journal often. That was the idea. Then, the commitment became to be at least once a week. Later, it became a discipline: once a week, tell a story and offer insights to readers, with the intention of inspiring and helping others through my own experiences. One of the biggest motivations for keeping one foot in front of the other has been you, my readers and audience. I want to take a moment to thank each of you, and I am intentionally not tagging anyone, because every reader who has stopped by to read one of my stories has helped keep me moving. But some of you have been especially receptive, reading and commenting or sending me a message often - and I sincerely appreciate it. I have not been writing recently, with no excuses, other being needed at the helm of production more. I am planning to return to this, as I have missed you all, and I have missed writing. In the meantime, I am sharing stories from the archive, once a week, to keep up the relationship with you. Once again, thanks so much for helping to draw forth the muse. It's been an honor to share with you my experiences. In the flames of World War 2, high stakes soccer matches rage while a nation hangs in the balance. 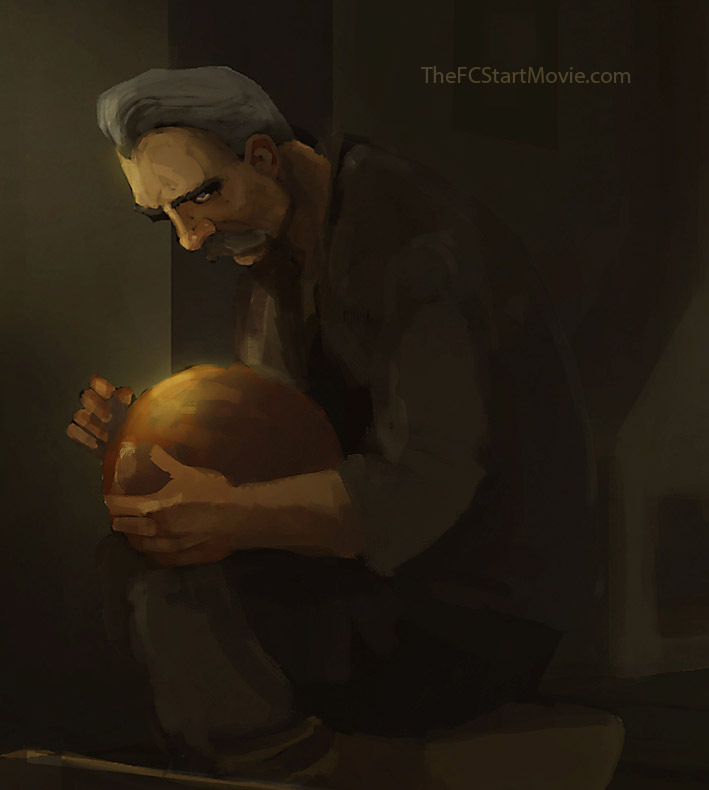 Inspired by the true story of FC Start, a tale of Ukrainian bakers willing to sacrifice it all on a soccer pitch. 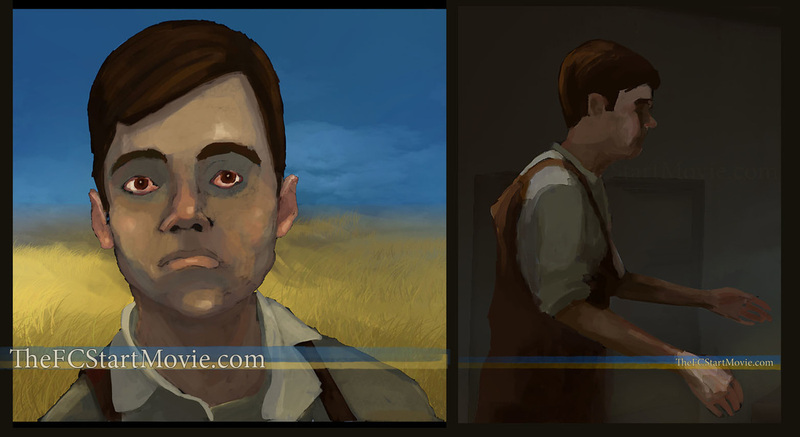 Very close to finishing all character texture painting. Life is a game of inches, and every day we are one step closer to the finish line. 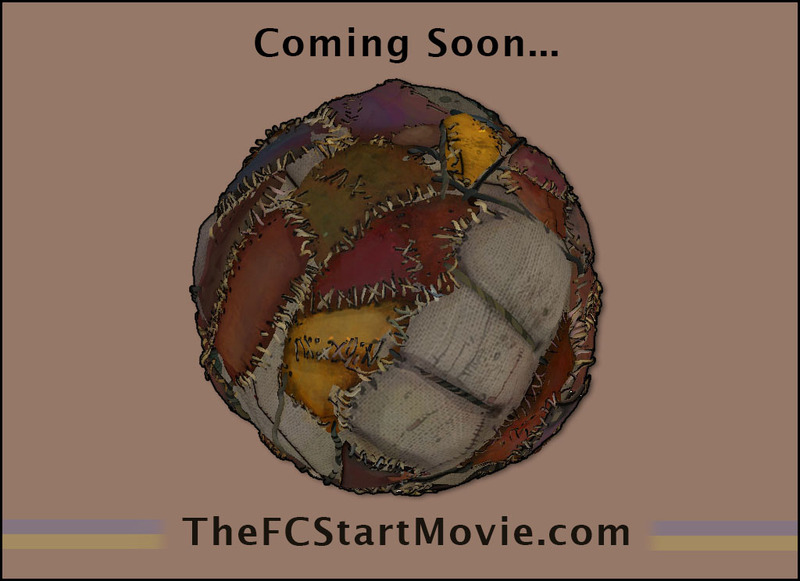 TheFCStartMovie.com - join us and receive behind the scenes goodies. Grandmother got rid of more and more things as she got older. Slowly throwing out that which was memorable to the rest of us. Keepsakes we didnt have a chance to keep just for the sake of it. In a raging sweep of madness, in 1400s Florence, Italy, a man gathered all his books, and the books, art, and cosmetics of others, dragged them into the square, and burned them to ashes. This was the first of what we now call a bonfire of the vanities. As grandmother got older, she found it necessary to rid herself of the world that had attached itself to her. It was all vain anyway. Better to rid oneself of memories if you know they will only haunt you, especially the good ones. You can never have them again, except in that empty and insatiable shell, that lemon of memory: Attractive to see, bitter to taste. ​As the books, art, and cosmetics all burned in the bonfire of the vanities, I wonder if the spectators felt the weight lift as they gazed into the ashes. Throughout art history, artists attempt to depict the futility of life, the vanity of our daily activity. These representations are called Vanitas, because they depict humanity's preoccupation with materials in a fleeting world. 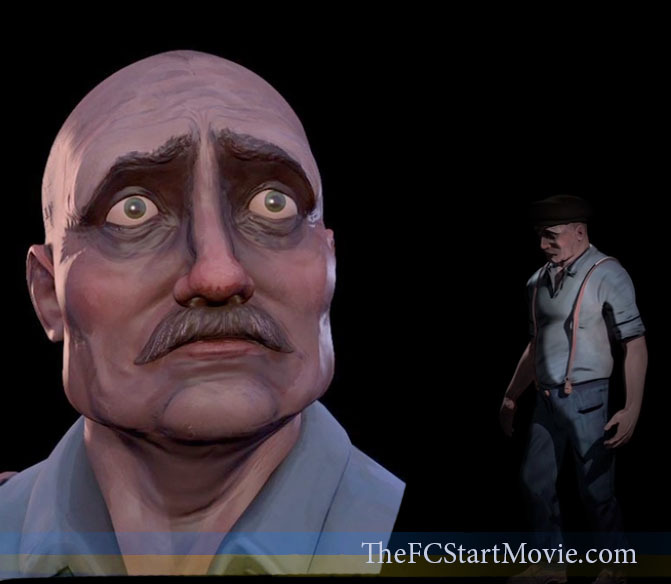 ​This is some artwork behind the scenes of TheFCStartMovie.com, partially inspired by The Vanitas. The story is not just a war story, a Ukrainian story, animation, or soccer story. I make this film for it's themes. ​For the brief moment we play. The weight of the choice is heavy. But there is a lightness in the game. While one scene is being lit, the next is being prepared.